First release of all previously unreleased Larry Young recordings in nearly 40 years. Featuring the iconic jazz organist Larry Young with Woody Shaw (trumpet), Nathan Davis (saxophone), Billy Brooks (drums) & others. Endorsed by the estate of Larry Young. Extensive liner notes with essays and interviews by John McLaughlin, Dr. Lonnie Smith, John Medeski, Bill Laswell, Nathan Davis, Andre Francis, producer Zev Feldman, Larry Young III & Woody Shaw III. Includes rare and previously unreleased photos from the Francis Wolff, Jean-Pierre Leloir and INA archives. Released in partnership with the National Audiovisual Institute (INA) of France. Resonance Records, in partnership with the National Audiovisual Institute (INA) of France, is pleased to announce the release of Larry Young In Paris/The ORTF Recordings. Featuring groundbreaking performances by the ingenious organist and pianist, these studio and live recordings from 1964 and 1965 made for French radio and never before issued on record, will be released on March 11, 2016 in deluxe two-CD and limited-edition two-LP sets. 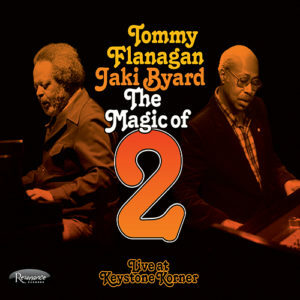 Musicians featured on these recordings include trumpet legend Woody Shaw, tenor saxophonist and bandleader Nathan Davis and drummer Billy Brooks. An international cast of supporting players —pianist Jack Diéval, tenor saxophonist Jean-Claude Fohrenbach and bassist Jacques B. Hess; Italian drummer Franco Manzecchi, Jamaican trumpet player Sonny Grey and Guadaloupean percussionist Jacky Bamboo — round out the personnel. This album marks the first new release of Larry Young music in 38 years. This project came about in 2012 when Feldman traveled to France to explore the ORTF (Office of French Radio and Television) archives (the media vaults overseen by the French National Audiovisual Institute (INA) in the hope of finding undiscovered treasures, which he suspected he might find there. Feldman asked INA executives about specific artists and was stunned to learn that the vaults contained recordings documenting some of the greatest American jazz musicians who lived in — or visited — Paris in the 1960s, including Larry Young. Resonance Records presents in this album tapes that had been sitting idly in the vaults for nearly 50 years, scrupulously maintained by INA. These recordings tell the story of a brief but critically important period when Young lived in Paris in the 1960s. The 19-year-old Woody Shaw was supposed to have joined saxophone/flute/bass clarinet legend Eric Dolphy in Dolphy’s group in Paris, which was to have been the house band at the legendary Parisian jazz club Le Chat Qui Pêche. Unfortunately, Dolphy died unexpectedly shortly before Shaw was to have arrived. The venue’s owner, Madame Ricard, and Dolphy’s fiancée, Joyce Mordecai, asked Nathan Davis, who was the club’s de facto music director, to put together a band to honor Dolphy and to provide the musical anchor for the club. Dolphy had extolled the young Shaw’s virtues to Davis, and so Woody was invited to come to Paris and join Davis’s ensemble. After being in Paris for a few weeks, Woody felt homesick and prevailed upon Davis and Madame Ricard to bring his Newark colleagues Larry Young and Billy Brooks, to join him and Davis in the Nathan Davis Quartet, which became Le Chat Qui Pêche’s house band. 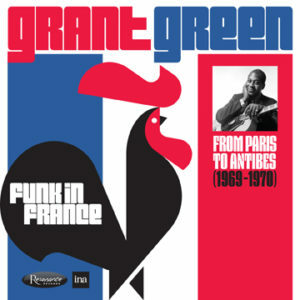 For several months, Young immersed himself in the flourishing Parisian jazz scene, which had attracted many American jazz players who were able to find steady work playing nightly gigs with both with their American comrades and international artists who had been drawn to the scene. Many American musicians found the atmosphere a welcome escape from economic and social tensions back home. In the ’60s, Parisian jazz clubs were filled with legends such as Dolphy, Kenny Clarke, Dexter Gordon, Slide Hampton and Bud Powell. 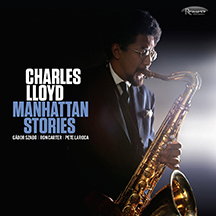 While in France, Young recorded at the ORTF Studios in Paris (now Maison de Radio France) as a sideman with the Nathan Davis Quartet, the Jazz aux Champs-Élysées All-Stars and with his own piano trio, which included bassist Jacques B. Hess drummer and Franco Manzecchi. 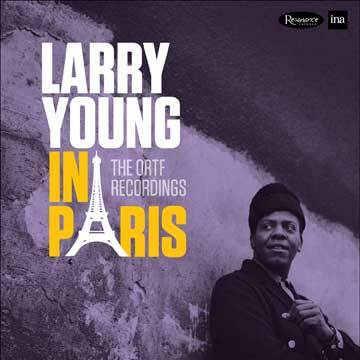 Larry Young In Paris/The ORTF Recordings includes selections from the original tapes, which were made specifically for broadcast on French radio. 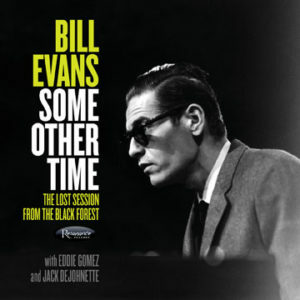 As noted, the only time these recordings have been shared with the public were in their original airings on two iconic monthly radio programs: Musique aux Champs-Élysées, hosted by Jack Diéval; and Jazz sur scène, hosted by producer and jazz scholar André Francis. Shortly after the tapeswere made, Larry Young returned to New York to record the classic album Unity, his second album for Blue Note as a leader. 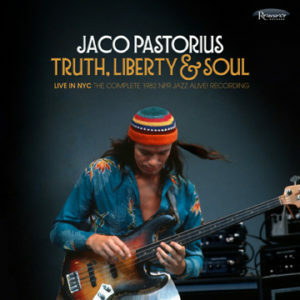 Resonance Records has packaged the two-CD version of this album with a 68-page book of essays by Feldman, legendary guitarist John McLaughlin, associate producer/ jazz scholar/INA executive Pascal Rozat, associate producers John Koenig, Larry Young III and Woody Shaw III; and illuminating interviews with Davis (conducted by executive producer Michael Cuscuna), organists Dr. Lonnie Smith and John Medeski (of Medeski, Martin & Wood), bassist/producer Bill Laswell and French broadcasting legend André Francis. The historic package also contains many rare, previously unpublished images from the archives of INA and photographers Francis Wolff and Jean-Pierre Leloir. The limited edition 12″ two-LP set contains all of the same material as contained in the CD set in an elegant insert, with collector postcards and a digital download card. The LPs are pressed on 180-gram vinyl at 33-1/3 rpm by Record Technology Incorporated (R.T.I. ), mastered by the legendary engineer Bernie Grundman. The packages for both sets represent further brilliant creations by art director Burton Yount in a series of beautiful packages he’s done for Resonance Records, this time assisted by art director Gordon H. Jee. 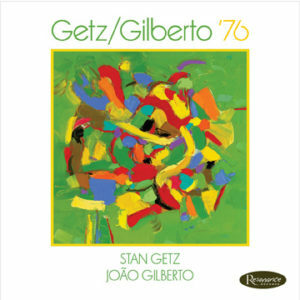 Tracks include an over-20-minute version of “Zoltan” (dedicated to the Hungarian nationalist composer Zoltan Kodály), “Beyond All Limits” (which can also be heard on the Blue Note album Unity), other mid-’60s compositions by Young (including “Talkin’ About J.C.,” “Luny Tune” and the impromptu “Larry’s Blues”), and much more. Larry Young died at the tragically young age of 38 in 1978. Larry YoungIn Paris: The ORTF Recordings is a tribute to his memory and endorsed by the estate of Larry Young. It was produced Zev Feldman with executive producers George Klabin and Michael Cuscuna, with sound restoration by Fran Gala and Klabin.